Fourteen percent of chronic childhood asthma could be due to exposure to traffic pollution, a study of 10 European cities has found. The new study suggests that air quality can trigger the breathing disorder as much as being around someone else who is smoking, which the World Health Organization has linked to 4 to 18 percent of asthma cases. Asthma sufferers often flag pollution as a trigger for their symptoms. A recent survey from Asthma UK found that 66 percent of sufferers said that traffic pollution makes their asthma worse, WebMD reported. Twenty-nine percent of responders said that reducing air pollution was the top factor that would make their lives better, and 85 percent said they were worried about car pollution's effect on their and their family's health. "Air pollution has previously been seen to trigger symptoms but this is the first time we have estimated the percentage of cases that might not have occurred if Europeans had not been exposed to road traffic pollution," lead author Dr. Laura Perez, at the Swiss Tropical and Public Health Institute, said in a press release. "In light of all the existing epidemiological studies showing that road-traffic contributes to the onset of the disease in children, we must consider these results to improve policy making and urban planning." 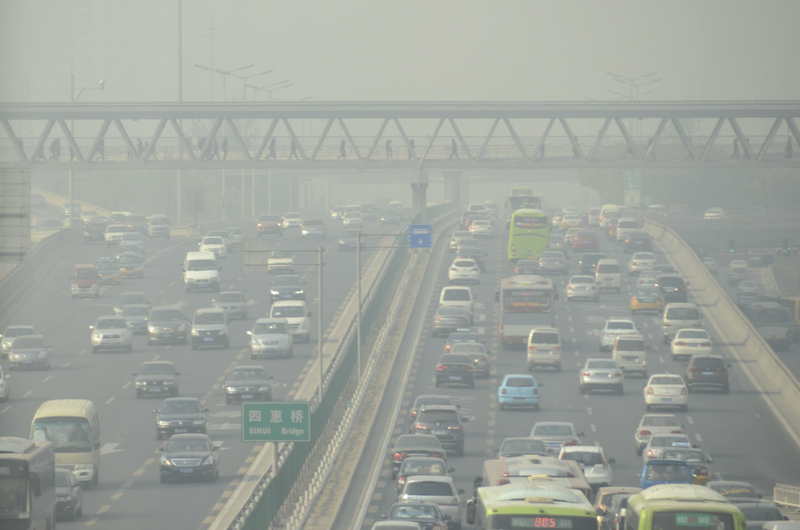 Researchers looked at population-attributable factors to see how near-road traffic pollution affected patients. The calculation showed how changing pollution levels might lower disease levels or reduce risk for death. They discovered that when children were near high levels of near-road traffic pollution they had much higher rates of asthma, even when other factors like passive (or secondhand) smoking or socioeconomic factors were accounted for. They estimated that 33,200 cases -- or 14 percent -- of chronic asthma suffers in those 10 cities were exposed to roads with high vehicle traffic, causing their asthma, and 15 percent of all asthma sufferer's episodes were due to near-road traffic conditions if a causal relationship was assumed. "This latest study adds to the weight of evidence to suggest that traffic pollution is a cause of asthma rather than just a trigger," Emily Humphreys, head of policy and public affairs at Asthma UK, told WebMD. She was not involved in the research. Asthma affects one in 12 people, or 8 percent of the U.S. population, according to 2009 data from the Centers for Disease Control and Prevention. The number has increased since 2001, when one in 14 people were affected. The study was published online on March 12 in European Respiratory Journal.